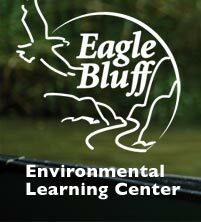 To all who helped make the fifth grade overnight trip to Eagle Bluff a reality, thank you! We couldn't have attended this trip without your gift card and used book purchases, or your attendance at the staff vs. 5th grade basketball game. The trip was an amazing way for our fifth graders to say goodbye to their time at Folwell and get ready for that next big step in their educational journey to middle school! We look forward to the Folwell community's support in the future so that all of our students have the opportunity to experience this trip. Below is a short video highlighting our experiences!